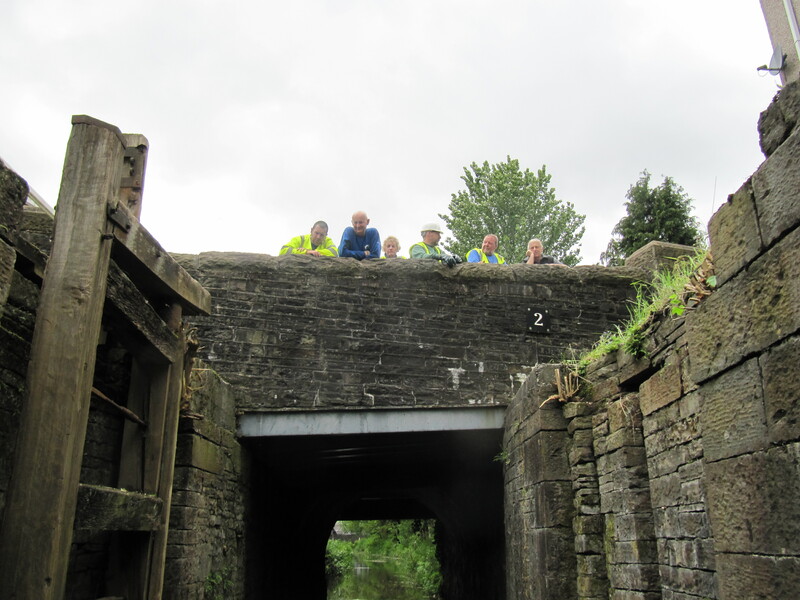 With the permission of the Canal and River Trust and with all H&S advice followed and risk assessments carried out, we entered the lock chamber at the Clydach Lock under the watchful eye of Rhodri Bowen and our leader, Gordon Walker. 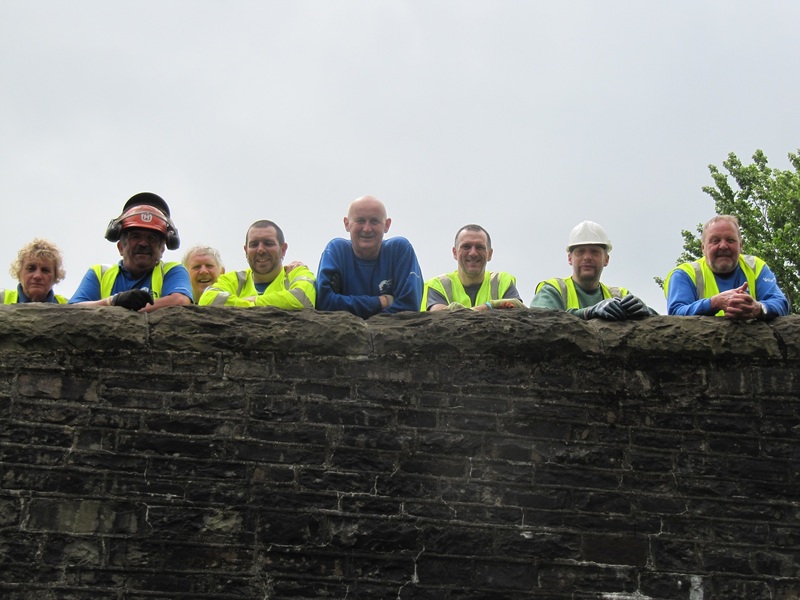 The buddleia roots have never been completely removed from the fissures between the beautifully built Blue Pennnant Sandstone. 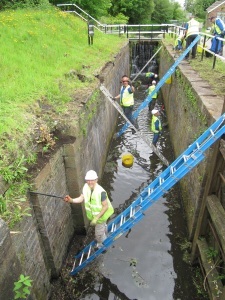 The lock is within the first section of canal that the Society has ‘adopted’ and with the necessary funding this lock could be fully restored with the fewest problems. 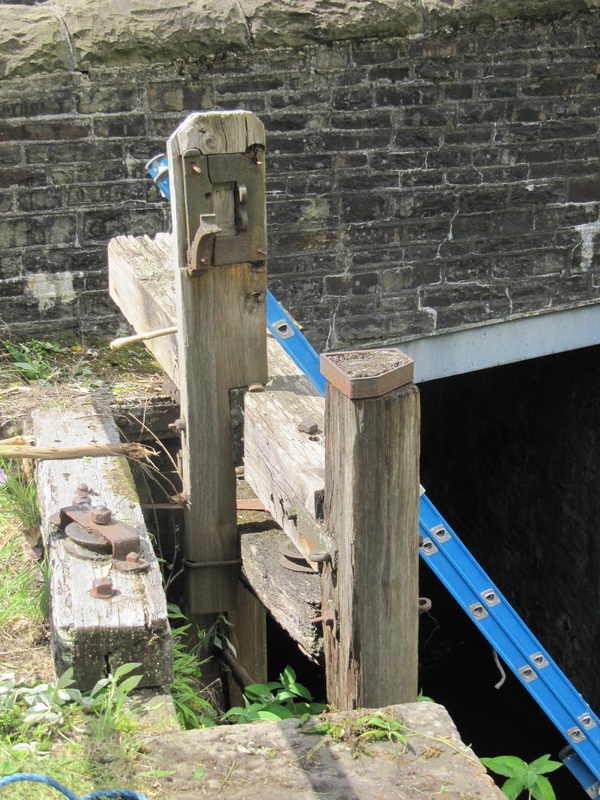 One of the three lock gates is still in situ and was worked by a pulley system as the road bridge is too wide and too close to it to allow the axis quadrant method of opening. The two lower gates would have closed to a ‘V’ shape.